Named for the historic Horton Plaza Park, downtown’s redefinition began with the opening of the Horton Plaza shopping and entertainment center in 1985. Residential opportunities are limited, but this I5-block area is at the center of downtown’s commercial activity. The area includes condominiums and apartments amid highrise office buildings, stores, hotels, theaters and restaurants. The historic Balboa Theatre, one of the oldest performing-arts venues in San Diego, was completely restored by CeDe and reopened as a live-performance and conference venue in 2008. San Diego’s Walk of Fame also begins in the Horton Plaza neighborhood and features statues of Alonzo Horton, Horton Plaza developer Ernest Hahn, and Pete Wilson. 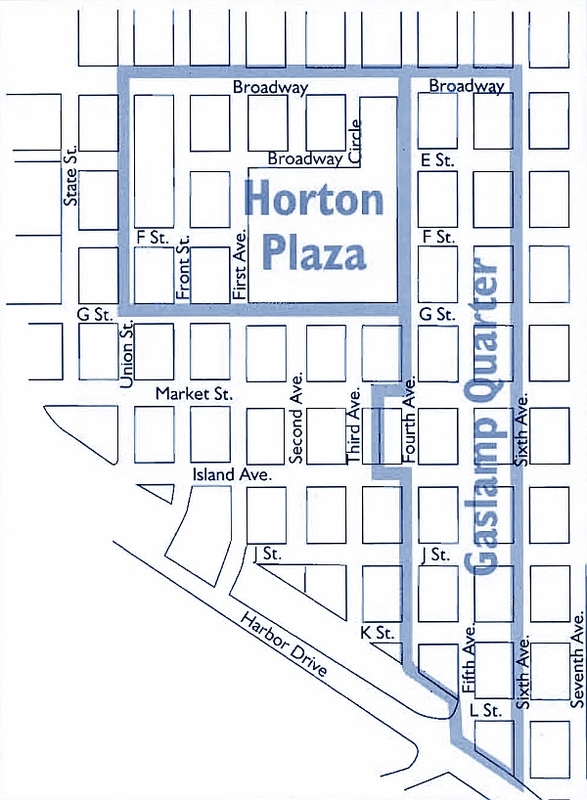 Alonzo Horton first encouraged downtown’s development in the 1870s by building a wharf at the foot of Fifth Avenue to facilitate trade with the area’s retail stores. This 16.5-block neighborhood is listed on the National Register of Historic Places, and the 94 structures identified as historically or architecturally significant now house more than 100 restaurants and nightclubs, movie theaters, stores, offices, galleries and lofts.